Renal Physician Associates is a three physician Practice. Our practice also has two nurse practitioners. Our physicians, and nurse practitioners work closely and collaboratively to care for the ongoing needs of our patients, and provide the highest level of quality care. 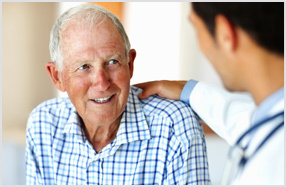 Our physicians provide consultative services at Winchester Medical Center and work together with the local dialysis centers to manage the changing health care needs of our patients. Our physicians and nurse practitioners see patients in our main office located at 812 Amherst Street Suite 201, Winchester, VA. Our physicians and nurse practitioners provide care for our dialysis patients at the local dialysis centers located in Winchester and Front Royal. Our physicians and nurse practitioners have over 50 years of combined experience serving patients in the Nephrology field. This combined knowledge ensures that we are able to provide the very best treatment options for our patients. We provide on call coverage 24 hours a day 7 days a week at Winchester Medical Center. Our providers care for patients at Winchester Davita Center as well as Davita Dialysis Center in Front Royal. Nephrology is the care and treatment of kidneys. Your kidneys filter waste and excess fluid from your body, regulate your body’s chemical balance, release hormones that help control blood pressure, stimulate red blood cell production, and keep your bones strong. Kidney disease prevents your kidneys from performing these functions properly. At Renal Physician Associates, our expert nephrologists and nurse practitioners provide the care you need to support your kidney function... Our providers provide services at our office location at 812 Amherst Street. One of our nephrologist is always on call at Winchester Medical Center. We also provide services at the Davita Dialysis Centers in Winchester and Front Royal.